Every winter tens of thousands of snowbirds flock to Texas’s Lower Rio Grande Valley, bringing to the warm and palm-tree-lined streets from McAllen to Brownsville an annual economic impact of more than $1 billion. While cities like Mission, Edinburg, Harlingen, Weslaco, Mercedes, Donna, San Benito, and Pharr have rich histories of their own, it’s also a quick jaunt to beautiful South Padre Island and the beaches of the Texas Gulf Coast—an inviting opportunity to literary travelers. 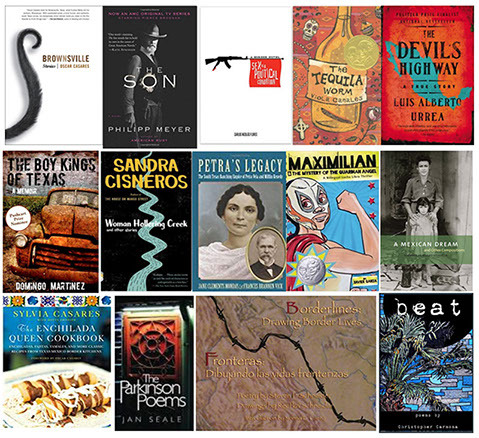 << SOUTH TEXAS AND THE VALLEY IN LETTERS Notable authors whose books are associated with the Rio Grande Valley and nearby locales, from upper left: Oscar Casares, Phillip Meyer, Carlos Nicolás Flores, Viola Canales, Luis Albert Urrea, Domingo Martinez, Sandra Cisneros, Frances Brannen Vick, Xavier Garza, Priscilla Suarez, Sylvia Casares, Jan Seale, Stephen Schneider, Christopher Carmona. U.S. News ranks RGV as one of the nation’s most affordable areas to live, with an average monthly rent in McAllen at $661. Temperature, climate, nearby beautiful beaches, and affordable living have always been the ingredients in a recipe that brings forth creatives of all types—writers, artists, performers, and filmmakers—and the Valley is rich in talent as well as visitable places and an expanding roster of events that demonstrate why RGV continues to move up in Lone Star Lit’s Top Ten Bookish Destinations rankings. Port Isabel, home of the lighthouse and a great little public library, is the gateway to South Padre Island, where book lovers will find the indie Paragraphs on Padre Boulevard. 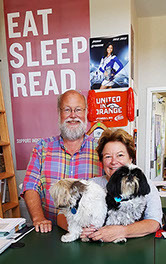 Bookstore owners Joni Montover and Griff Magnan have curated a colorful store that highlights titles of interest for locals and tourists alike. On any given day, their author showcases of readings and signings enjoy excellent attendance and dialogue. Port Isabel, home of the lighthouse and a great little public library, is the gateway to South Padre Island, where you’ll find the indie Paragraphs on Padre Boulevard. 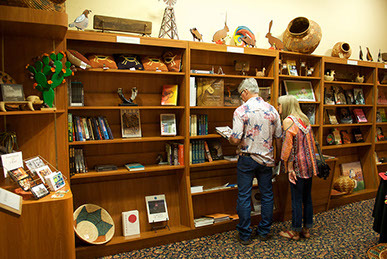 Bookstore owners Joni Montover and Griff Magnan have curated a colorful store that highlights titles of interest for locals and tourists alike. On any given day, their author showcases of readings and signings enjoy excellent attendance and dialogue. BOOKS ON THE ISLAND Griff Magnan and Joni Montover (right) and canine friends welcome visitors to Paragraphs on Padre Boulevard. If you get a little too much sun at SPI, head back to the mainland to enjoy the inspiration from the creativity of the McAllen Public Library. A reclaimed former WalMart big box store, McAllen’s main public library, 4001 N. 23rd St., opened in 2011 as the largest single-floor library in the United States, occupying 125,000 square feet — two and a half times the area of a standard U.S. football field. This spacious, colorful, well-lit library features 101 Windows workstations. The building also includes self check-out units for borrowers, an auditorium, an art gallery, a café, and a bookstore offering gently used volumes at bargain prices. Kids and adults alike marvel at the conveyor belt and bar-code reader that collect and sort book-drop returns 24/7, one of only a handful of such high-tech systems in the state. The machinery is visible through a glass wall in the children’s section. In July 2016, McAllen’s Main Library was chosen as the most beautiful library in Texas by tech, science, innovation, and culture digital publication Tech Insider, in an article citing their choice of most beautiful library in each state in the nation. VACATION READING: (Below) the McAllen Library is a great place to visit — inside and out. McAllen’s poet laureate for 2018, Edward Vidaurre, is the author of four books: I Took My Barrio On A Road Trip (Slough Press 2013), Insomnia (El Zarape Press 2014), Beautiful Scars: Elegiac Beat Poems (El Zarape Press 2015 ), and Chicano Blood Transfusion (FlowerSong Books, 2017). The RGV is rich in opportunities to connect with other writers and authors, beginning a decade or so ago, and expanding to new events. The Rio Grande Valley International Poetry Festival which started in 2007 with the first Poetry Pachanga, is now held annually in two Deep South Texas counties. With four days of readings, art exhibitions, social gatherings, the launch of a yearly anthology, ad the open-to-all Pachanga, it’s a truly inclusive festival with events across the RGV. The 2018 festival will be held April 26–29. McAllen also hosts an annual Book Festival in the fall. The McAllen Book Festival is a celebration of culture and imagination that links readers of all ages with authors, performers, and publishers, and fulfills the mission of McAllen Public Library as a place “where people and ideas meet and connect.” Authors with recent books are invited to apply March 1 through June 1 for the 2018 festival, Sat., Nov. 10, 2018. In a region with a vibrant culture and deep passion for the arts, cities across the valley offer programming throughout the year to encourage residents to pursue those passions. The McAllen Creative Incubator was specifically designed to target such efforts. “McA2” provides resources to push individuals to the next level of a business idea by catering towards artisans, writers, computer programmers, and musicians; it’s also the main venue for the RGV Poetry Festival. The Creative Writing Program at the University of Texas Rio Grande Valley (UTRGV) in McAllen enjoys a roster of 12 faculty members and hundreds of alums who regularly publish fiction, nonfiction, and poetry. They routinely keynote conferences, and present programs at workshops and signings. The university’s Festival of International Books and Arts (FESTIBA) was established in 2006 to promote the importance of literacy, culture and the arts to students, parents, educators and community members throughout the RGV. With the theme “Transcending Borders: Building Bridges Through the Arts,” FESTIBA 2018 took place Feb. 26– March 3, with a multi-day array of readings, history presentations, mariachi contest, visual arts, and a keynote presentation by Alejandro Zambra, author of the community’s 2018 Big Reads title, Ways of Going Home. The Third International Sin Fronteras Book Festival in Brownsville wrapped up the weekend of March 5, 2017. This book festival for South Texas, spearheaded by the Coalition of New Chican@ Artists (CONCA), provides a venue for small presses, independent bookstores, libraries, authors, and illustrators. We hope this important event will continue in the future. 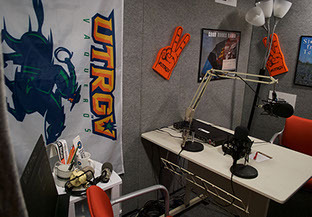 STRONG SIGNAL: At UTRGV’s Brownsville campus, in the historic Cueto Building, faculty member W. F. Strong records his “Stories From Texas” and “Good Books Radio” on RGV Public Radio. Looking for a first-hand oral history experience? The Museum of the South Texas History, 200 N. Closner Blvd., Edinburg, hosts a Sunday Speakers Series that is included in the fee for regular museum admission. This program is made possible with support from the endowment of Carmen C. Guerra, who was deeply committed to supporting educational opportunities in the RGV. Founded in 1967 as the Hidalgo County Historical Museum in the 1910 Hidalgo County Jail (currently closed for restoration work), the museum has grown over the decades through a series of expansions to occupy a full city block. In 2003 following the completion of a 22,500-square-foot expansion, the museum was renamed the Museum of South Texas History to better reflect its regional scope. Today, the museum preserves and presents the borderland heritage of South Texas and Northeastern Mexico through its permanent collection and the Margaret H. McAllen Memorial Archives and exhibits spanning prehistory through the 20th century. It also houses one of the best bookstores in the region (right) for local history, culture, and literature, with volumes ranging from railroad heritage to the poems of former state poet laureate Jan Epton Seale. The Brownsville Historical Association Heritage Museum, 1325 E. Washington St., also houses an excellent bookstore (), with coffee-table and gift books as well as a top-notch selection of books from, and about, the region. 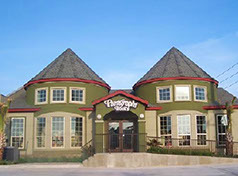 The RGV boasts numerous new and used bookstores of all stripes, from Books-N-Things (McAllen and Harlingen), Kaboom Comics & Collectibles (McAllen and Weslaco), Myth Adventures (McAllen), Kirby’s Comics (McAllen), and Viva Life Christian Bookshop (McAllen) to We’ve Got Issues and The Bookstore (Brownsville). McAllen also has two Barnes & Noble stores that regularly hold author events. The Storybook Garden in Weslaco is the kind of independent neighborhood bookstore that literary travelers love—a small business in a downtown historic district, working continually to enrich the community. From hosting Meet and Greets with local, regional, and national authors to building a float for the local lighted Christmas parade to being a full participant in ShopSmall Saturday Thanksgiving weekend and hosting ladies’ nights out at the bookstore complete with massages, The Storybook Garden welcomes locals and travelers alike. And while you're traveling U.S. 83, which parallels the Rio Grande from Laredo all the way from Brownsville, pick up a copy of award-winning historian Stew Magnuson’s The Last American Highway (Vol. 3, Texas, 2017), which chronicles the author’s journey from the Panhandle to Palo Alto, vividly capturing the essence of the Rio Grande Valley as the last part of his border-to-border journey. If you’re a writer, you’re in luck with lots of ways to exercise your creativity in the region. Yerberia Cultura, 613 S. 17th St. in McAllen, hosts a weekly poetry open mic. Writers of the Rio Grande and Valley Byliners offer opportunities for writers to gather and discuss their craft. UTRGV publishes two highly regarded journals: riverSedge and Chachalaca Review. 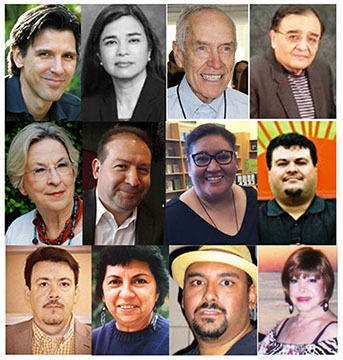 SOUTH TEXAS AUTHORS At right, from upper left, authors associated with the Rio Grande Valley: Oscar Casares, Viola Canales, Rolando Hinojosa, Carlos Nicolás Flores, Jan Seale, Domingo Martinez, Priscilla Suarez, Xavier Garza, David Bowles, Gloria E. Anzaldua, Christopher Carmona, Olga Valle-Herr. 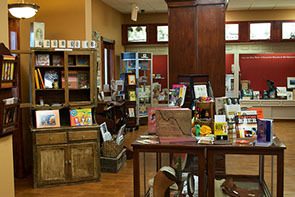 If you’re hankering for chain bookstore shopping, Laredo — which not too many years ago earned the dubious distinction of lacking a bookstore of any kind — now boasts a 2nd & Charles franchise, 5410 San Bernardo Ave., as well as a branch of its parent company, Books-a-Million; there’s also a Book Warehouse outlet in Laredo, which opened in early 2017. The long-running Laredo Book Festival returns in December 2018, celebrating Texas and local contemporary authors and encourages interest in books and reading. Sponsored by the Laredo library, this event is free and open to the public.